The Long Lost Ancient Egyptian Pyramids that overshadow the Pyramids at the Giza Plateau seem to be a reality. These so-called lost Pyramids could change the entire history of Ancient Egypt. The mysterious ‘pyramids’ discovered in 2012 by American researcher Angela Micol were dismissed at first by many as being only sandy mounds and not man-made structures in the desert. But 34 rare, antique maps might prove these structures, re-discovered in 2012 might be Pyramids larger than those found at the Giza Plateau. According to satellite imagery, one of the monuments is three times the size of the Great Pyramid of Giza. “It has emerged these formations are labeled as pyramids on several old and rare maps,” Micol told Discovery News. This has not been the first time the archaeological community has dismissed huge discoveries. It seems that every once in a while when a history-changing discovery is made somewhere on the planet, it is quickly dismissed by scholars as being unimportant or fake. The best example of that are the Bosnian Pyramids located in Visoko. Not long ago, the discovery of the giant Underground Ancient Egyptian labyrinth had similar problems with mainstream scholars and governments who decided to maintain the discovery a secret. 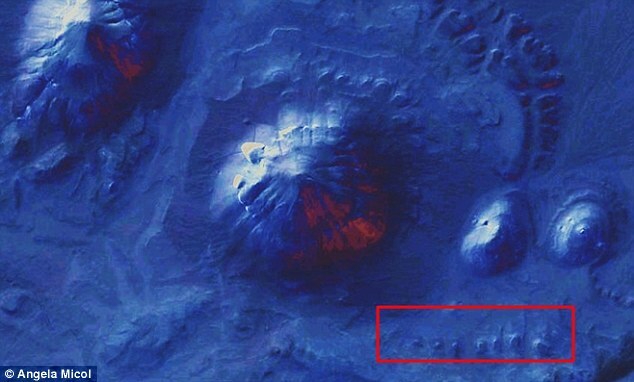 While authoritative scholars have remained skeptical about the finding and dismissed the ‘structures’ as “Google Earth Anomalies” evidence has surfaced which supports Micol’s findings. The couple where Medhat Kamal El-Kady, former ambassador to the Sultanate of Oman, and his wife Haidy Farouk Abdel-Hamid, a lawyer, former counselor at the Egyptian presidency and adviser of border issues and international issues of sovereignty who happened to be collectors of ancient maps, old documents, books and other rare historical documents. The story gets extremely interesting here. 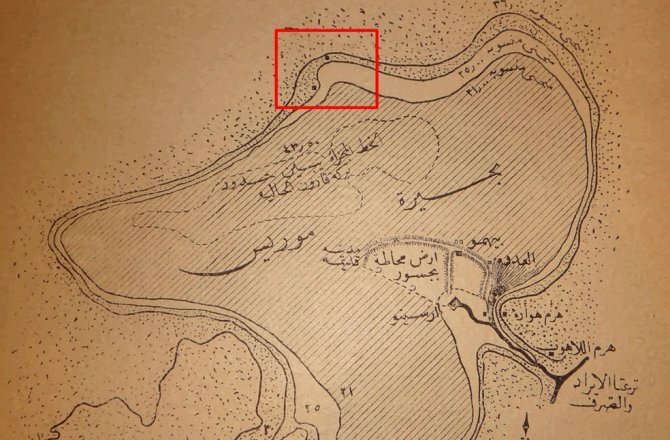 According to Medhat Kamal El-Kady and Haidy Farouk Abdel-Hamid the formations discovered by Micol near Abu Sdihum are labeled as being Pyramids in several ancient maps of the region. “For this case only, we have more than 34 maps and 12 old documents, mostly by scientists and senior officials of irrigation,” El-Kady and Farouk told Discovery News. A map which dates back to 1753, made by Robert de Vaugoudy. A rare map made by Napoleon Bonaparte’s Engineers. And a map by Major Brown, which dates back to the 1880’s. Interestingly, there are several ancient documents that prove the mounds discovered by Micol are in fact ancient pyramids, which were buried in an attempt to hide their existence forever. Even though the site hasn’t been investigated properly by archaeologists who remain extremely skeptical about the finding, according to Mohamed Aly Soliman, one of the individuals who visited the site near Abu Sidhum stated that these mounds were built with different layers that do not belong the surrounding landscape, meaning that these were artificial structures made by ancient Egyptians and not natural formations as many have dismissed. “Those mounds are definitely hiding an ancient site below them,” Mohamed Aly Soliman, who led the preliminary expedition near Abu Sidhum, told Discovery News. “First of all, the land around them is just a normal flat land. It is just desert — sand and stones,” he said. “The mounds are different: You will find pottery everywhere, seashells and transported layers. These are different layers, not belonging to the place, and were used by the Egyptians to hide and protect their buried sites,” he said. “Describing himself as “one of the many Egyptians obsessed with the pharaohs’ civilization,” Aly has a background as a private investigator and has been studying to identify archaeological sites in Egypt. “If we look back in history we will find that pharaohs were using seashells in building their tombs and pyramids for ventilation purpose,” Aly said. According to legends, the area near the pyramids is said to harbor ancient secrets and contain ‘great magic’. If the discovery proves to be a genuine Pyramid, it would be the largest ever discovered in Egypt, making it an unprecedented discovery in the history of mankind. Evidence of sea shells at these locations matches evidence of a tidal shoulder on the Giza Plateau. Originally there was aluvial deposits (that have since been cleared away) about 18′ deep around the base of the Great Pyramid. C-14 dating of marine material of those deposits returned dates of 12,000+ YBP. The great thing about this find is the sea shells on the above site can be C-14 dated, and if they match, as I suspect they do, the aluvial material on the Giza Plateau as well as the Valley of the Whales, we will just add additional proof to the fact that the Giza Plateau was inundated to a height of over 810′ over the then current sea level circa 12,900 YBP. Coincidentally, the exact date of the Younger-Dryas impact event. The reason all Egyptologist deny the inundation, is that no one can account for “Where” 810 feet of sea water suddenly came from, and where did it “disappear” to? The answer is in my free book “Earth Epoch” available almost everywhere online. iBooks, Barnes and Noble, Google Books, and here: http://www.smashwords.com/books/view/536932. Again, it is Free. That Stargate is just laying out there collecting dust too!